Follow DC United vs Columbus Crew SC stream, score and result of the 2018 Audi MLS Cup Playoffs from Audi Field in Washington, D.C. Kickoff is scheduled for 8 pm EST. Keep following for the live outcome on VAVEL USA. Thank you for joining me for this EPIC match. Final score 2-2, Columbus advances 3-2 on penalty kicks. Next game Sunday at MAPFRE Stadium as Columbus will host the New York Red Bulls. More details coming later. My name is Tyler Fisher, good night! Well this was a game. I think it ranks up there with the penalty kick shootout last year against Atlanta United. But this was one for the ages. Deleon to kick for United.... MISS! COLUMBUS ADVANCES 3-2 ON PENALTY KICKS! Niko Hansen.... Goal! 3-2 Crew SC regain the lead! Stieber.... Goal! 2-2 all sqaure! Zardes... SAVED BY HAMID! 2-1 Columbus still lead. Asad for DC United... Goal! 2-1 Columbus lead. Rooney.... SAVED BY STEFFEN! 1-0 Columbus. Columbus to kick first. Higuain to kick first. Okay... penalty kicks. As if this game needed more intense moments. 123' Dangerous free kick for DC United. 120' Columbus Crew SC substitution. Patrick Mullins replaces Harrison Afful. Three minutes of stoppage time. Penalty kicks await. Former DC United forward Patrick Mullins is set to enter the game. 116' GOAL! What a hit by Deleon to tie this game 2-2! A free-kick from Wayne Rooney that invited pressure and bodies. A poor clearance found the foot of Deleon and the ball finds its way into the back of the net! Five minutes remaining and Crew SC still lead 2-1. 109' Columbus Crew SC Substitution. Hector Jimenez replaces Pedro Santos. 108' Santos is limping off, and now Allen Chapman is calling for a stretcher. He will be forced off and Hector Jimenez will be his replacement. What. A. Game. At halftime of Extra Time, Columbus holds a 2-1 lead over DC United. 102' DC United substitution. Darren Mattocks replaces Junior Moreno. 99' DC United Substitution. Zoltan Stieber replaces Ulises Segura. 97' GOAL! Higuain scores his second of the night to put Columbus in the lead! This game is far from over, but Higuain wants this game to end now! Extra time consists of two 15-minute halves. Each team has a fourth sub that is available. If still tied after extra time, penalty kicks. 90' Hansen gives the ball away and DC counter. The shot by Acosta is just wide of the post. Goal kick Columbus. Extra time is looming in the wings. 90' Three minutes of stoppage time is read on the board by the fourth official. 85' Santos with a rocket of a shot from far, but what a save by Bill Hamid! Full stretch to his right and able to push the ball out for a corner kick! Save of the game right there! 80' Last 10 minutes and DC United have a free kick from the far wing. 77' Columbus so close to getting the go-ahead goal, but the shot from Santos is just high over the bar. Goal kick United. Hey, no more choppy feed! Tempers are starting to rise at Audi Field. Little bit of shoving going on. Acosta looks to be the main culprit. On replay, head coach and sporting director Gregg Berhalter looked to go after the ball after it went out and Acosta shoved him a little bit. Columbus did not like that. 69' First sub of the night for DC United. Paul Arriola is replaced by Nick Deleon. 67' Corner kick, Crew SC. Seventh corner of the night for the Black and Gold. 62' First substitution of the night for Crew SC. Niko Hansen replaces Justin Meram. Hard to distinguish what's going on with the choppy live feed, but I'll do my best. Not sure if it's just me but the live feed from Fox Sports 1 is realllllly choppy. So.. three corners in a row for Crew SC. Conversion rate: zero. Start of the second half. Columbus kicks off and we're underway. At the half, the score remains tied 1-1. Frederic Brillant and Federico Higuain the goal scorers for their respective side. The fourth official on the side has indicated there will be a minimum of two added minutes to the first half. 45' Yellow card caution to Federico Higuain of Columbus Crew SC. 44' Segura draws a foul. Free kick United. This is the exact spot where DC scored their first goal. Look for them to do the same thing. Sooo... is everyone enjoying the game?! 36' Meram has his chance to put Columbus up but his one time attempt sails high over the bar. Goal kick. 31' GOAL! Justin Meram crosses in the ball to the center. After several bounces, Federico Higuain is able to slot the ball into the net to tie the game! 1-1! 22' GOAL! Luciano Acosta sends in a ball that Steffen fumbles. Brillant heads it into the net to give DC United a 1-0 lead, and Brillant is down inside the net holding his head. 18' Trapp finds Afful on the opposite wing. Afful sends one back to Trapp who then finds Zardes inside the box. The header from the striker is saved by Hamid. Great opportunity there for the Black and Gold. 14' Zardes flicks the ball to a trailing Higuain. The Argentine midfielder travels into the penalty area, sends a cross to the center for Meram but the pass is cleared out. 11' Columbus on the attack, Meram looking and tries to find Valenzuela but the ball rolls out for a goal kick. The 20-year old left back had tons of room but he gave up on the pass from Meram. 8' Rooney has a great chance as several Crew SC players froze waiting for a whistle. Jonathan Mensah clears the ball out for a corner kick and Columbus is irate at Chapman. Remember when I said things are going to get a little testy? So far, within three minutes referee Allen Chapman has blown his whistle five times for fouls. 2' Zardes collects a ball over the top and dribbles inside the penalty area. He takes a hard shot and it sails over the crossbar. Goal kick United. Captain Wil Trapp wearing his clubs supporter groups armband again. Nice tribute by the Gahanna, Ohio native. Both teams have entered the field. The national anthem is up next. Also, Stuart Holden mentioned something about #SaveDTheCrew. I wonder what that could be about. Look for this match to get a little testy tonight. Not only is it a knockout round match, but this game, in particular, will reignite the rivalry between two original MLS clubs. Both came into the league in 1996, but Columbus was the very first. 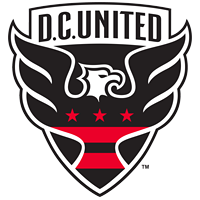 DC came along and won MLS Cup in 1996 in it's first year of existence. The rivalry hasn't been as big as it was years ago, but this match will certainly revitalize it's importance. For Columbus, it was a strong start to the season. Sitting in second place for a good time, they slowly declined down as low as fourth. A quick series of wins lifted them up to third before falling down to fourth place for the remainder of the season. It was pure luck that Columbus made fifth place, given the circumstances of the last match delay, and the Philadelphia Union sudden drop of fame. This game is a make or break for both teams season. United started out really slow, basically scraping the bottom of the barrel for a playoff spot. Once the midpoint of the season came and the club acquired Wayne Rooney, the momentum shifted and the second half of the season was remarkable. That's how they ended the season in fourth place. And now, the home team lineup. The visitors have released their lineup. Boy is there a lot of star power in this starting eleven! Lineups should be getting released soon. The anxiety of all fans for both clubs has got to be through the roof right now! Looks like the league has their prediction for this match. Check out their FIFA 19 simulated match by clicking here! Welcome to VAVEL USA's LIVE coverage of the 2018 MLS Cup Playoffs presented by Audi! We are just about two and a half hours out from kickoff between Columbus Crew SC and DC United! BREAKING: DC United forward Wayne Rooney has been voted the MLS Player Of The Month for the month of October. Congratulations Wayne! Good morning everyone! It's matchday!! Who's ready for the match tonight? Who do you think will win the match? Let us know in the comment section below, or let me know via Twitter (@LWOS_TylerF). This game is being nationally televised on Fox Sports 1. Kickoff is scheduled for 8 pm EST. Stay tuned on vavel.com to catch up-to-date commentary, updates, and stream of the match. DC will more than likely pull this one out after extra time. I also saw on Twitter that a group of Crew SC fans is making the trip, so expect to see some yellow mixed in with all the Black and Red going on at Audi Field. It's hard to predict a winner in this win-or-go-home matchup. Both teams have quality players and both teams are really good. DC has the advantage because of the home crowd. But Columbus is playing with grit and determination. Needless to say, this match will be a great game to watch for all neutrals. The last time these two teams met, DC pulled out the 1-0 victory. Both teams have 28 wins, with DC only grabbing 91 goals while Columbus has 100. However, with DC being the home team, it's clear and obvious they are the favorite in this matchup. Berhalter addressed the elephant in the room multiple times and credits his players for keeping their focus on the season, taking it match-by-match. With all that has been going on with Columbus, it’s obvious that outsiders know the news going around town of local ownership close to being true to buy the team from current investor/operator Anthony Precourt. Their regular season series of all time falls in favor of both teams ironically, but Columbus has scored more goals. Zack Steffen; Milton Valenzuela, Jonathan Mensah, Gaston Sauro, Harrison Afful; Wil Trapp, Artur; Justin Meram, Federico Higuain, Pedro Santos; Gyasi Zardes. Here is the projected lineup for the visitors. This year, Columbus only won three road games, which is their second-fewest road wins in a season since 2010. In those three games, they only recorded 11 goals. The hat-trick scored by Zardes was the first by a Crew SC player since Justin Meram scored three goals against the Montreal Impact last season. "It wasn't the easiest scenario that we had to deal with and the guys hung in there." "This was a challenging year. I am really proud of the guys for staying focused and battling through adversity," said head coach and sporting director Gregg Berhalter. But after the delay, by halftime, Columbus knew they had clinched the playoffs as every other game had completed. The Soccer Gods had Columbus on edge when Mother Nature kicked in around the 10th minute of play to delay the game for about an hour. Columbus is coming into this matchup after defeating Minnesota United FC 3-2 behind a Gyasi Zardes hat-trick. We now shift focus to the visiting team, Columbus Crew SC. Here is the projected lineup for the home team. Since the day of Wayne Rooney's arrival, him and teammate Luciano Acosta have approximately nine goals each. Also, since the beginning of September, no other team has more wins (7), goals (21) or points (24) in the league. "I am very happy to be associated with this team. They are a gutsy group who have been able to win in a variety of ways over the last couple months," said head coach Ben Olsen. "The fun part begins with a knockout game at home in front of our fans." DC is a whopping 12-2-1 at home, since the opening of Audi Field back on July 14. United went undefeated in their last 10 matches and was able to secure a home-field advantage in the knockout round by a 0-0 draw against the Chicago Fire, along with the Philadelphia Union getting throttled by New York City FC 3-1. To get things underway, we'll start off with a small season review of the home team, D.C. United. Hello, and welcome to VAVEL USA's LIVE coverage of the 2018 Audi MLS Cup Playoffs! 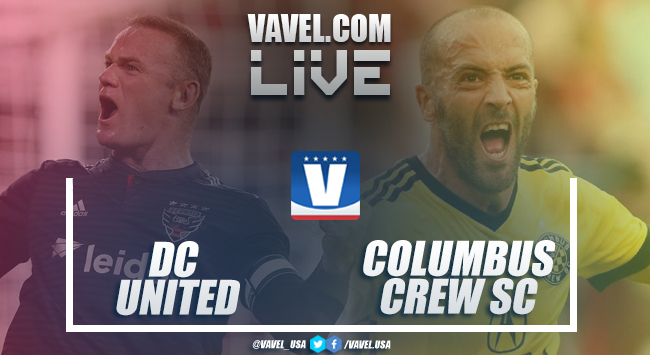 Tonight's matchup features D.C. United as they host Columbus Crew SC. Both teams barely squeaked into the post-season, and this match determines who will move on to the Conference Semi-Finals. My name is Tyler Fisher, and thank you for joining me tonight! The winner of this matchup will set up a date with the New York Red Bulls, with the first leg being Sunday, November 4, 2018. Sit back, get comfortable with food and a drink, and enjoy the show!